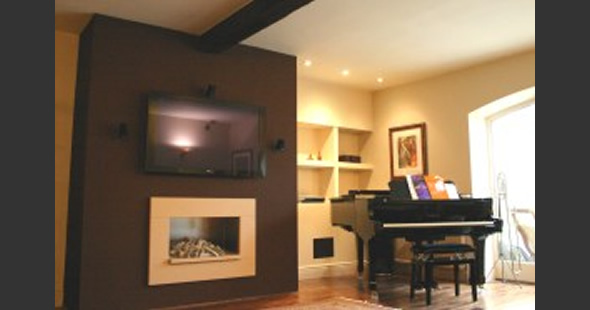 Here we have a Bose Lifestyle system installed in the Living Room with a Pioneer Plasma. The system contains a hard drive CD storage system called Umusic. Additional loudspeakers were installed in the Dining Room, these were controlled from the Bose PMCII remote.